Australia is currently planning on raising the age of retirement to 70 years of age, which would make this the highest retirement age in the world. With advancements in technology and better health care readily available, many people are living longer and elderly populations are on the rise. Due to Australia’s forecasted budget deficit, pushing up the retirement age is thought to decrease the pressure on the state’s budget in the coming years. As well as that may be, some Australians have been critical of this plan, believing that this will make it harder for young people to break into an industry, and leave older workers unemployed. In Melbourne, Bernard Salt of KPMG doesn’t see it that way, saying that the current system is no longer appropriate for Australia today and that change is required for the economy to stay afloat. Australia is unlikely to be the only country to continue raising the age of retirement. Already countries such as Norway and Iceland, have raised their retirement ages to 67. Pensions are slowly slipping farther away all across the globe, with both taxpayers and pensioners suffering. Relying on the state to support you during retirement is becoming less and less attractive, leading elderly workers to take matters in their own hands and focus on their own personal retirement plan. 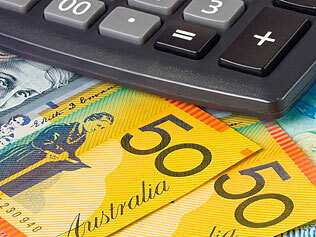 The Australian Government is to reform what it says is the punitive taxation of excess superannuation contributions. At present, superannuation contributions that exceed the non-concessional contributions cap are taxed at the top marginal tax rate. The Government says that as the contributions come from income that had previously been taxed, this can take the overall rate up to 93 percent. The Government has now released details of the changes announced as part of Treasurer Joe Hockey’s first Budget. The aim is to ensure that the treatment of excess concessional and non-concessional contributions is broadly consistent and that inadvertent breaches of the non-concessional contributions cap do not incur a disproportionate penalty. For any excess contributions made after July 1, 2013, which breach the non-concessional cap, the Government will allow individuals to withdraw those excess contributions and associated earnings. If an individual chooses this option, no excess contributions tax will be payable, and any related earnings will be taxed at the individual’s marginal tax rate. Individuals who leave their excess contributions in the fund will continue to be taxed on these contributions at the top marginal rate. Learn to Trade like a Pro: Real Time Trading Platform, No Leverage & Zero Spread! Americans with accounts at Citibank & Bank of America in Belize should be worried as the IRS moves in !